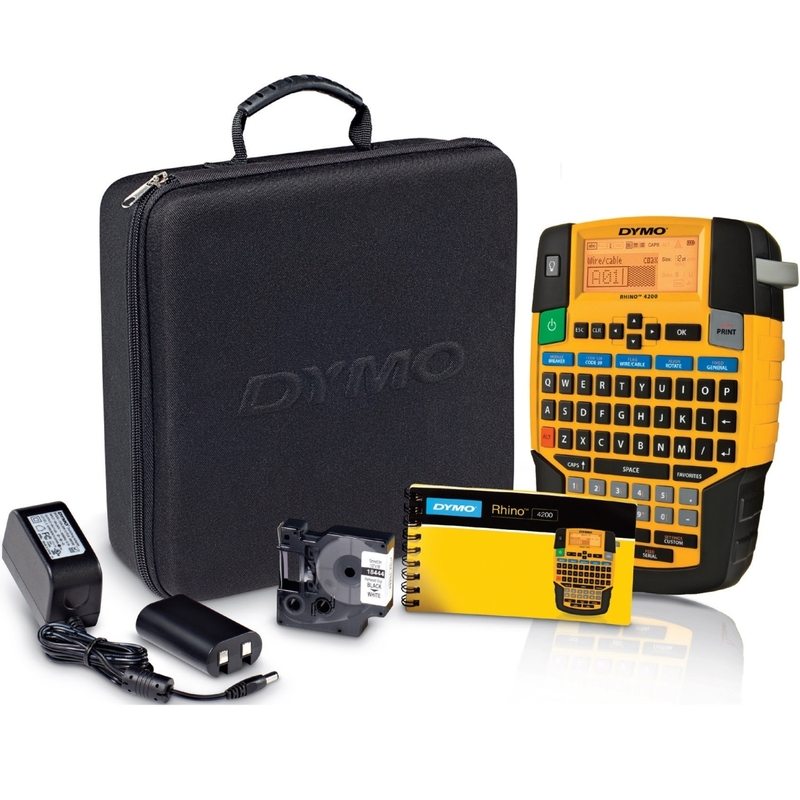 Up to 40 % cashback for the purchase of Dymo® branded products. *Offer is made depending on the total value of the purchase. For consumer, this means value, VAT included. For professional end-users / companies, this means the value of the purchase without VAT. Participant should at least purchase one machine to participate. Dymo bundles with a machine included inside (could be PnP bundle, LW450 bundle, R5200 bundle) are included into the promotion as machines. Only one claim per person / company, so make it a big one! For full details, terms & conditions and actually claiming the cashback you need to visit the DymoTime Website. Dymo have done a 2nd production run of the Rhino 4200 promotional kit. They first produced a limited quantity of this promotional package back in 2013, which ran until stocks ran out. Now they have produced another limited quantity, which again will last until stocks run out (until maybe the same time next year!). Usually the 4200 is only available on it’s own, with no accessories. But the promotion version includes a padded canvas style case, with the printer, a rechargeable battery pack, AC adapter/Charger and 18444 (12mm white vinyl) tape – all for the same price! Just make sure when comparing prices that you are looking at the promotional pack, not the single printer, and this is a ‘free upgrade to kit’ offer (ie. all the extras are free) so make sure the resellers aren’t selling this at a higher cost to the standard boxed version! Dymo have done a limited production run of the LabelWriter 450 bundled with 3 boxes of labels – and the price is lower than the price of the LabelWriter 450 just on it’s own. 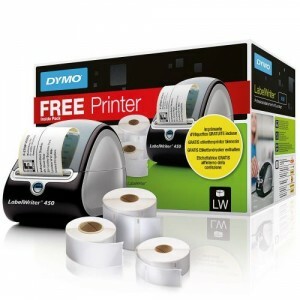 Dymo have labelled the boxes as “FREE Printer inside”, their theory being that you are buying the labels and getting a free printer. However, this is based on their RRP’s for the labels, and in the real world nobody sells the labels at those prices so the figures do not add up. But despite their confusing box design it is still a very good deal, much better than buying the regular machine, and the best Labelwriter deal you’re going to get any time soon. Stocks are limited, so the offer is “while stocks last”, and you can buy them from Dymo Express. Any unlisted models are not supported in Windows 8.